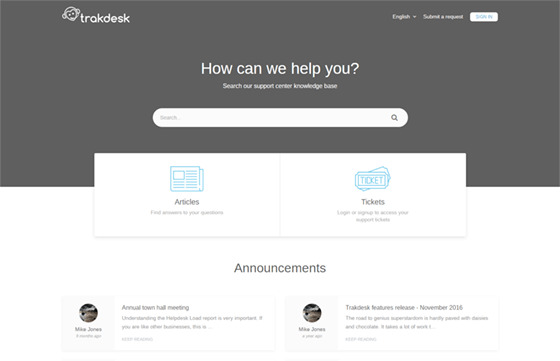 Bring your customer support portal to life with Prime - Flat theme from trakdesk. Prime - Flat is a beautiful, customizable, and fully-featured trakdesk theme. 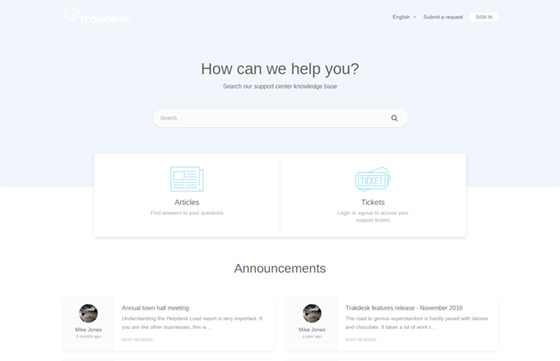 It features a fully responsive design to work on all devices, an attractive user interface for an amazing user experience, and easy to use options. Also, Prime - Flat theme was built on LiquidPHP, which makes it fully customizable to your brand and needs.